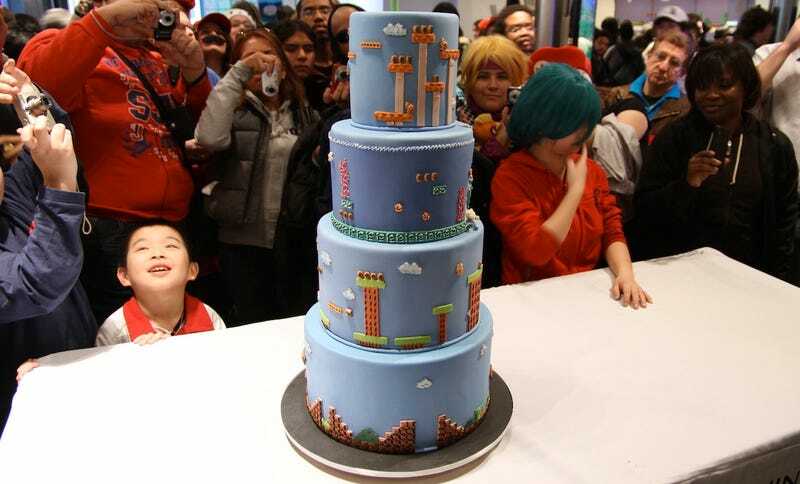 The Sunday celebration in New York City for Super Mario Bros.' 25th anniversary included cake, Super Mario cake. Let's look at this cake more closely via the magic of the moving image. Did the cake taste good? Nintendo designer Shigeru Miyamoto lets us know. Either that or he really is answering the question shouted by some attendee about whether the cake tastes like mushrooms.